Access Health is one of the leading suppliers for gel seat cushions and pressure cushions in Australia. We offer a range of pillows designed to minimise pressure and maximise comfort, allowing you to sit for longer. Access Health provides gel seat cushions and pressure cushions designed specifically for long duration sitting in cars, at home or in offices. Our WonderGel range will provide comfort and support to your lower back and buttocks and can improve your overall posture. We have a range of gel seat cushions which are made from an ultra-modern copolymer, which provides comfortable support while eliminating pressure spikes. WonderGel products allow you to sit for hours in cloud-like comfort by relieving the pressure from your lower back, buttocks and thighs. Access Health offer you the best possible price and quality, with the convenience of online ordering and shipping around Australia and anywhere in the world. 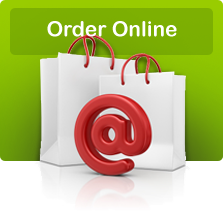 Purchase your own gel seat cushion through our simple online ordering system. 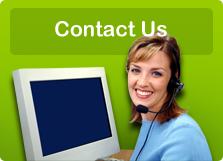 Alternatively, contact us on 1300 65 95 40 and speak to one of our professional staff. 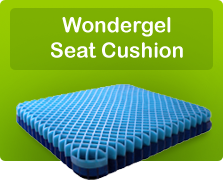 For those with a need for comfortable seating, Access Health WonderGel seat cushion, gel car seat cushion, gel pressure relief cushion, best gel seat cushion provides a wonderful solution. The Access Health WonderGel seat cushion, gel car seat cushion, gel pressure relief cushion, best gel seat cushion offer great comfort and support. Access Health WonderGel seat cushion, gel car seat cushion, gel pressure relief cushion, best gel seat cushion have vapour permeable, water proof, 2 way stretch covers and by way of there are much cooler then foam cushions. Access Health WonderGel seat cushion, gel car seat cushion, gel pressure relief cushion, best gel seat cushions come in four types, 1 Roll n go 1inch entry level, 2 Original 1 ½ inch, 3 Extreme 2 inch single layer, 4 Double Gel, dual layer. Access Health WonderGel seat cushion, gel car seat cushion, gel pressure relief cushion, best gel seat cushion all absorb vibration where foam cushions amplify vibration. Access Health WonderGel seat cushion, gel car seat cushion, gel pressure relief cushion, best gel seat cushion are much better at maintaining skin and tissue integrity.